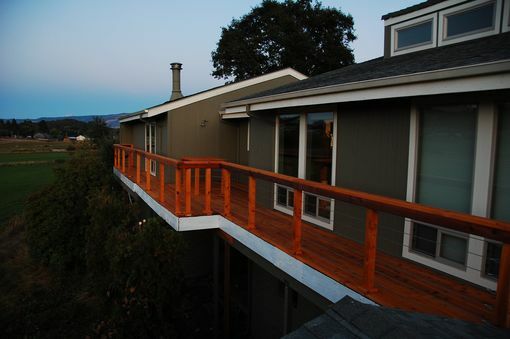 Custom second story deck. Constructed of kiln dried 2x6 cedar floor boards. 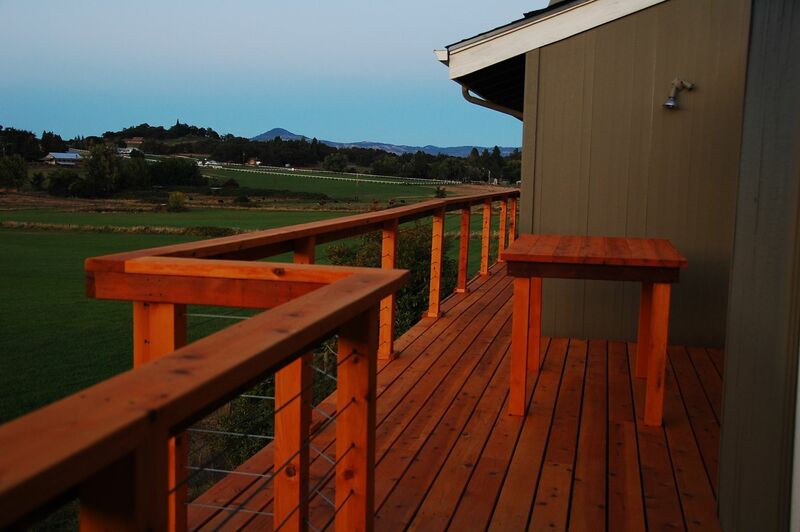 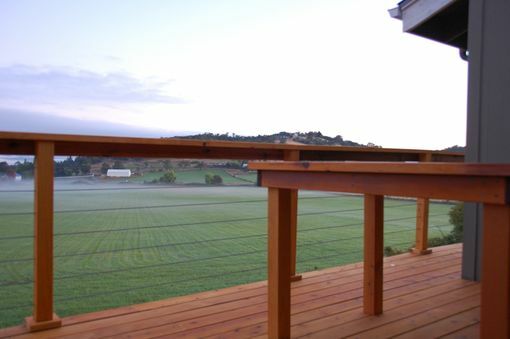 Railing was custom made with stainless steel cable to enhance the view from the deck.